An emergency call from the US Coast Guard came into the Morrow County Sheriff’s Office Communications Center about 6pm on Tuesday September 11th, advising that the Tidewater Tugboat “Ryan Point” had spotted two people in the water clinging to their very small overturned boat. The rough water whitecaps and the angle of the sun, made it difficult to see, but the crew of the “Ryan Point” Captain Josh Burrows and his crew are no strangers in assisting those in need on the Columbia River and they are truly “Stewards of the River” as at they work running their tugboat from Longview to Pasco. 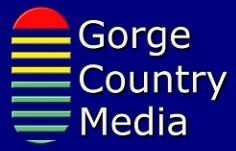 The Coast Guard advised that the “Ryan Point” was headed downstream near River Channel Marker 72 when they spotted the man and woman in the water, clinging to their small capsized boat. The two were hypothermic and extremely weak from being in the rough water for three hours before the “Ryan Point” came to the rescue. One person’s temperature was so low it did not register on the thermometer. Since the conditions on the open water were very rough, there were no other boaters in the area. One tugboat had passed them about 30 minutes before the “Ryan Point”, but due to the conditions did not see the pair in the water. Morrow County Marine Deputy Mike Cahill was immediately dispatched. Deputy Cahill had been involved a few days earlier in saving a woman’s life who was attempting suicide by swimming into deep water of the Columbia River near Boardman. Deputy Cahill was in touch with Captain Burrows on the “Ryan Point” via phone and marine band radio. Due to the rough water, Captain Burrows determined it would be best to treat them on-board while enroute to the Tidewater dock in Boardman, rather than risk a boat transfer in open water. The crew is well equipped and well trained for just such emergencies, and they did a great job helping the two recover from their ordeal. Deputy Cahill and Captain Burrows made a plan and coordinated with Roy Drago, Jr. who is the Journeyman Lead of the Boardman Tidewater facility. The Sheriff’s Office Communication Center dispatched Boardman Ambulance and Boardman Fire to assist Deputy Cahill when the tugboat arrived at the Boardman Tidewater facility. Undersheriff John Bowles, Cpl. Ryan Jundt, Deputy Tanner Cooney and Lt. Melissa Ross, all assisted on scene during the incident. Drago ensured all personnel assisting in the transfers were in USCG approved life vests and ensured the safety of the overall effort at the docks. Medics took the two boaters to two waiting ambulances and the firefighters and the tugboat Deck Mechanics transferred the small boat to shore and back on to its trailer. 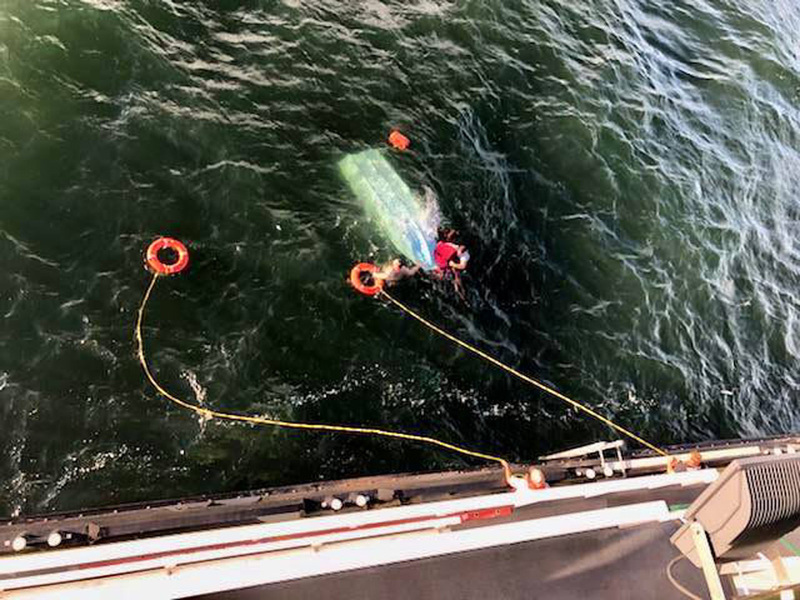 The Marine investigation is still on-going and will consider the condition of the boat for seaworthiness and if all required safety items were aboard at the time the craft was launched out of Umatilla. Investigators deferred to let the families reunite and let the boaters recuperate from their ordeal. Derek Alan Ness, 38 of Umatilla and Laurie Dawn Merrell, 47 of Umatilla, owe their lives to the Captain and crew of the “Ryan Point”. If not for them and their vigilance, the end of this story would have been very different. Thank you to all first responders who helped make this a happy ending. Morrow County Sheriff’s Office Marine Patrol would like to remind all boaters to make sure to always carry the required safety equipment, be vigilant about keeping your craft seaworthy and be aware of the conditions on the water. If in doubt about any of these, please wait, there will always be another day to be on the water. Mishaps happen in an instant, please be safe and enjoy your time on the water.